Many of you followed my Lasik experience on Instagram and quite a few of you direct messaged me expressing your interest, fears and curiosity about the experience. It’s taken me this long to write this post because my Lasik experience didn’t go exactly as planned. I felt frustrated and discouraged for a while but finally feel like I’m at a point where I’m happy with my vision and able to share my experience objectively. All things said and done(ish), I can see clearly with my new eyes! My frustrations fell within my healing process but my experience with my doctor have been absolutely wonderful since before day one. I fully understand that my experience is my own and that the majority of people’s experiences are likely only similar to mine up until after the first week. I hope this post helps you to take steps towards your Lasik journey and allows you to visualize or set your expectations for the entire experience. I am not a medical professional so everything mentioned below is base solely on my experience and personal knowledge of the procedure. A little about my eye history: I started wearing glasses and contacts in the 5th grade. After wearing them for roughly 18 years, I decided I was ready for Lasik. I had very little issues with my glasses and contacts and didn’t really find them a hindrance as much as some people I know do. More so, I just wanted to be able to wake up and see and not worry about losing a contact at a shoot or wedding. Over the years, my eyes did start to get a little dryer and I found myself preferring my glasses over contacts to save on the expense. We don’t currently have any children but I know one day waking up a million times in the middle of the night will be a lot easier without struggling to find my glasses. My biggest fears: 1. The clamps that holds your eyes open: I don’t know why but the idea of not being able to blink really freaked me out even more so than actually cutting my eye. 2. My vision going “black.” 3. Taking care of myself afterwards (my husband is in the Army and was gone during this process). The reality: 1. I couldn’t even feel them and the people around you are much more distracting. 2. Your vision doesn’t stay black for more than a second. It’s not great during the procedure but it’s very short lived. 3. My friend Hannah stayed with me the night of my procedure and I’m so thankful she did. I could have managed on my own but it was a little painful to try and see and taping on the eye masks would have been challenging the first night had I been by myself. Next day forward, I was totally good-to-go. More to come on this below. When I expected to be able to see normally again: The day after the procedure. The reality: The day after the procedure was THE BEST I’ve ever seen. I was so happy and amazed how quickly my eyes recovered! What I didn’t expect: I didn’t expect my eyes to temporarily be MORE maintenance after Lasik than I felt while wearing contacts (I’ll expand on this in the entire experience). I have “young eyes” so most of the side effects shouldn’t happen to me right? I did however fully understand all of the short term required “maintenance” outlined by the practice. The reality: I had a minor complication with my eyes being “too dry” and therefore had a LOT more work, frustrations and adjustments to help cope with it. They tell you 100 times that your eyes will be dry while they heal, I just didn’t expect that to affect my vision. My expectations of healing from Lasik itself: I actually thought I would be out of commission for a while – at least a week and then I would be solid. The reality: I could literally work the next day although I did start to feel my eyes get tired from screens. The long term maintenance was more than I expected because of my complication. What I was dreading the most: This actually came after my consult. I was DREADING sleeping with the eye masks. I really love to sleep and I thought I would be sacrificing a whole week of not sleeping well. The reality: To my surprise, I COULDN’T feel them! What I SHOULD have been dreading the most: The first couple of hours after the procedure. More about this below in the post-Lasik section. Why I chose Lasik: Like most people, I just wanted the convenience of being able to see clearly and not have to rely on contacts and glasses. It sounds cheesy but, I wanted to prepare for motherhood before that step in our life came. I wanted to go and work a wedding without the fear of losing a contact. I wanted to go on a hike and know that I would make it back to my car without the worry of something happening with my vision. I had extra stashes of contacts literally everywhere (I’m still finding them today) out of fear of being somewhere hindered and not able to function on my own. It was the right time for me and I’m so thankful I can see now! Research: I googled THE CRAP out of Lasik. I read so much information to better inform myself and make sure I was ready before setting up any consults. There’s a lot of good “basic” information out there but, there’s quite a few things I didn’t read that I was surprised by. I found out through google what the average price ranges were, the general process, the potential complications, the fact that I wanted blade free surgery and what things to look for when selecting a practice to go with. 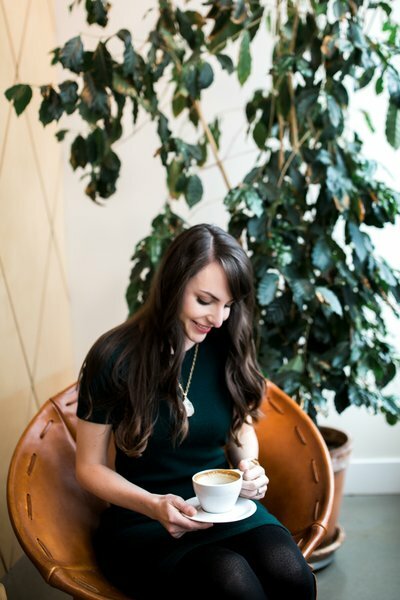 Finding the right doctor: I only had ONE in-person consultation and that’s because I did my research ahead of time and made my own “quick phone consults.” I looked up every single Lasik location in Olympia, Tacoma, Puyallup and in-between. I narrowed down the options based on the locations that met the basic requirements I was looking for. From that list, I called 4-5 different locations. Those 4-5 locations had doctors who had a lot of experience with the specific procedure I was seeking, had good reviews and met all of my basic requirements. Beyond that, I personally didn’t like the idea of not meeting or knowing which doctor would perform my procedure and so the locations that didn’t offer or guarantee that were cut. I also wasn’t a huge fan of locations that wouldn’t do in person consultations to see if Lasik was a good fit WITHOUT a referral. Quite a few locations wanted me to have a eye exam with my optometrist and then get a recommendation or referral from them. That just seemed like a lot of work when many locations offer it all in house. Lastly, I wanted someone who would stand by me. I wanted the cost to include any follow up visits or touch ups that I would need. Some places will offer this for 3 months, 6 months or a year but Dr. Rudd with Auroa Lasik guarantees his work for as long as he’s in practice. My in-person consultations: Every member of the staff at Auroa Lasik was amazing. They were all well informed, timely, happy to answer my million questions and most importantly, they treated me like a paying client prior to a commitment. The first consultation, they performed an initial eye exam, explained the process and pricing. They were very detailed and tried to set realistic expectations in a “no pressure” setting. After the initial consult, they scheduled a second consultation. At the pre-surgical consultation, I had a second eye exam, had my eyes dilated, then meet with Dr. Rudd for a third eye exam. Afterwards, you take care of the legal stuff and set a procedure date. Dr. Rudd is one of the first physicians that I truly felt like he didn’t mind taking the time to answer any additional questions (which I didn’t have by the second consult since they were so thorough). He re-explained the procedure and assured me that he felt like I was a great candidate for Lasik. I do understand that this is an elective procedure and that ultimately Lasik practices are a business but, I NEVER got the feeling (as I did with other locations I called) that they were pushy OR that “I wasn’t a paying client yet.” I felt comfortable and confident the entire way at Aurora. The prep: Before my second eye exam, they required me to be contact free for 10 days as well as contact free before the procedure itself. After the second consult, they give me a prescription to relax me day of (My doc prescribed vicotin) and required a pick up of preservative free single use eye drops. That morning: During my consultation – they informed me that the entire procedure doesn’t typically take more than 15 minutes. That seemed unreal to me but it’s actually pretty accurate. I didn’t personally feel like the valium did anything for me before (or after) the procedure. The morning of, I wasn’t really nervous because I felt like I had already made my decision and what was meant to be would happen. That was honestly the same feeling I had sky diving so I don’t know what that says about me (haha)! Once my friend Hannah picked me up to take me to the appointment, the nerves started to kick in. Again all said and done, 15 minutes of being nervous for years of great vision is not a bad trade off. At the office: When I arrived and my eye numbing drops set in (about 5 min), Dr. Rudd took me straight back while Hannah got to watch (and record) on a giant tv just outside the glass room I was in. I’m sure everyone is nervous during the procedure so I felt like they didn’t take much time to prep while I was in there to make it as quick and seamless as possible. So it begins: Here’s the procedure from a patient’s perspective in way more detail than anyone will ever tell you: Once I laid down on the table, Dr. Rudd explained everything as it was happening which made me feel A LOT more comfortable. They begin with one eye covered while they place the clamps in the other eye (for a lack of better knowledge of the tool) and my eyelashes were taped down. I really didn’t notice that part too much. After that’s done, the procedure begins. The first machine that cut the “flaps” was actually what I viewed to be the worst part of the procedure. Here’s what is technically happening “the laser creates microscopic air bubbles to separate corneal tissue and make a thin, precise flap. This method replaces the traditional metal blade technique.” My eyes were numb of course but the machine actually pushes down on them creating immense pressure. I felt like it was a little painful but again, very short lived. I saw a ton of dots, my vision went black for what seemed like less than a second, then it came back quite blurry where I saw slight colors / large blurry dots. It felt a little like how I imagined an alien abduction to feel and then it’s over. They cover the eye and do the second. There’s definitely a burning hair scent so I chose to not breathe the second time around. After both flaps are cut, my eyes were covered and they swiveled the table I was laying on to the next machine that corrects your vision. Here’s the technical explanation of it: “lasik reshapes your cornea—the transparent membrane that arcs over your pupil and iris—to refract (bend) light rays to focus more precisely on your retina.” The worst part about this portion of the procedure is honestly just opening my eyes. They felt sensitive to light so when they replaced the clamp, all I really noticed was that it felt SUPER bright. Once my eyes were open, a tool is used by the doctor to lift the flap and bend it over (almost like the lid of a can you just opened with a can opener). I then stared at a colored dot while the machine micro-tracked my eye movements and reshaped my cornea. Dr. Rudd rinsed out my eyes and laid the flap back down. Your eye’s ocular pressure is actually what keeps the flap in place so that’s where the post-lasik care comes in to ensure the flap stays put. Once both eyes we’re done, I could already see quite a bit better. They described it as looking through dirty water and I would say that’s about right at this point. The day of: They tell you to go home, nap, use your eyes as little as possible and use the medicated drops every hour you’re awake. I’m not gonna lie, those first couple of hours were rough and they tell you to sleep as soon as you get home FOR A REASON. I have a hard time napping during the day and it took me about an hour or two to fall asleep. Those few hours if you stay awake, your eyes really hurt, everything feels bright and they water A LOT. I mean streaming down my face type of watery. I actually napped with my eyes shut, eye-shields and with sunglasses over the shields because the light coming through my blinds felt really bright. However once I woke up, I was a whole new woman. I could see (although still very sensitive) and I felt a million times better. I was putting rewetting drops in my eyes every hour and medicated drops every hour so in reality, something was going in my eyes every 30 minutes. That processes changes significantly following the first day but after that nap – you’re solid. One week check up: So here’s where my complications began. My vision actually decreased from my initial follow up. Technically they said it was 20/20 at this point however, I couldn’t read the bottom three lines of the eye chart when viewing with one eye at a time and basically guessed the letters while using both eyes. It wasn’t necessarily blurry as much as it was the fact that I was having trouble focusing. The experience to me felt like a camera lens that keeps going back and forth unable to actually find focus. When that happened, I immediately started to freak in my head. Apparently this is not that uncommon of a side-effect although I didn’t read anything about it beforehand even with all my research. Because my vision tested the same across the board regardless of prescription changes, a surface focusing issue was their explanation and is considered a temporary issue that can be healed with moisture and time. They schedule a one month follow-up to check on this for me. One month check up: My eyes were about the same at this appointment so they actually placed tear duct plugs. These prevent your eyes from draining to try and retain moisture longer. Dr. Rudd actually had a challenging time placing them because of my anatomy and told me that my eyes may “reject” and push them out. They lasted 3 days and pushed their way back out. No further action was recommended when I called. Finally today: Today, I feel pretty good. I don’t notice the surface focusing issue as much on a day to day basis. In the past, I mostly noticed it while using my lap top or any time I was concentrating on small details (which is basically my job). I’m sure I’m harder on my eyes than a lot of people as I mostly work on a computer, focus on tiny minute details and go outdoors often. On a positive note, I actually think I can see better at night. They say Lasik doesn’t affect night vision but I do think mine improved a little. All the complications said and done, I would 100% do it again. Ultimately, I wake up and I can see. I go to bed and I can see. It took me over a month to not go and try to take out my contacts from habit which is always a nice reminder of my lasik “wins”. I have to admit, I would be disappointed if my eye dryness never improved over time but I try not to think that way and am still hopeful that things will work out. They say it takes 3 months to completely heal so I still have a bit of time! Full disclosure: There is cell video of my procedure below so I wouldn’t recommend pressing play unless you’re ready to watch! If you made it all the way through that, props to you! Please don’t hesitate to reach out if you have any questions about my Lasik experience!